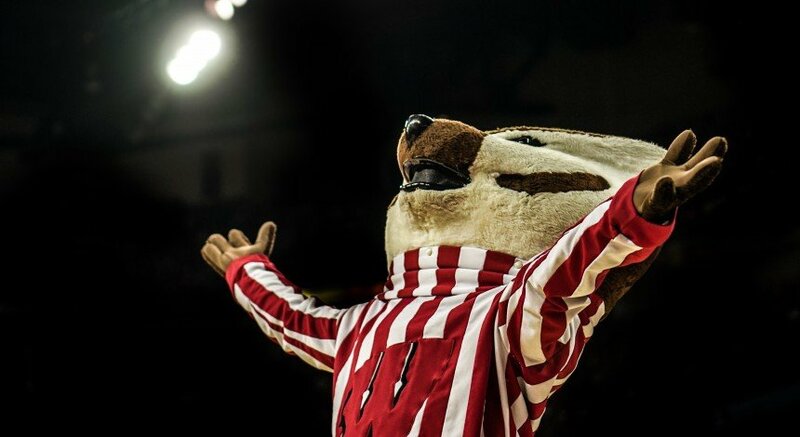 The Bucky’s Tuition Promise program has impacted the lives of 796 University of Wisconsin students during its inaugural year, according to UW. That’s roughly one in five students from the class that began at UW this fall. The program was proposed in February to meet the goal of making tuition more affordable for in-state students and is funded by private gifts and institutional resources instead of state tax money. The initiative promises to cover four years of tuition and segregated fees for first-year students from Wisconsin whose family’s adjusted gross household income is $56,000 or less each year. In-state transfer students are also eligible for benefits, but they receive two years of help instead of four. 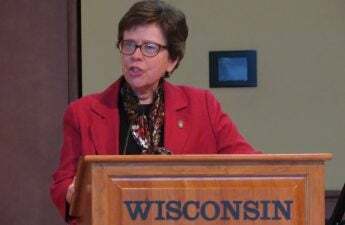 UW Chancellor Rebecca Blank wants the school to be an option for anyone who is admitted. “We are fully committed to making UW-Madison accessible and affordable to Wisconsin families,” Blank said. All eligible students must do to receive the benefits of the program is fill out the Free Application for Federal Student Aid, UW said. Then, the Office of Student Financial Aid notifies qualifying students. Mackenzie Straub, a freshman at UW who benefits from Bucky’s Tuition Promise, said the program alleviated financial stress on her family when it came to the cost of her higher education. “I am very grateful for the generosity that UW-Madison has shown me through the Bucky’s Tuition Promise Program,” Straub said. The program operates as a “last-dollar” type of award. 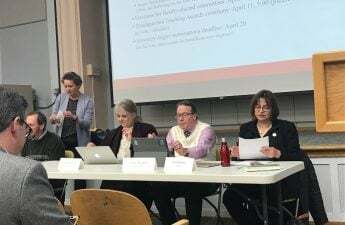 It fills the monetary gap between private grants and scholarships that an incoming student is given and the cost of in-state tuition and segregated fees, UW said. Income is the only factor considered to decide whether or not a student is eligible for the award. According to Blank, this is important to note because Wisconsin is an agricultural state, where farm families can report high assets but low incomes. Ethan Heckler, another UW freshman, is thankful for the hope that the program has given him and his family. “This tuition program more or less gave me and my family an ease of mind and hope that, at the time of applying to college, we didn’t have,” Heckler said. Heckler said that without the Bucky Tuition Promise he would have had to put off attending higher education or try to take out loans for school. According to the Office of Student Financial Aid, 65 of 72 counties in Wisconsin are represented through the program. Heckler said the promise has changed his life and is pushing him to work even harder in school. Straub shared that mindset. “The education that I will be receiving here at Madison is truly a gift, and I am so thankful to be here,” Straub said.